Father’s House International is dedicated to see “Orphans No More” and we would like to get you involved in our mission. 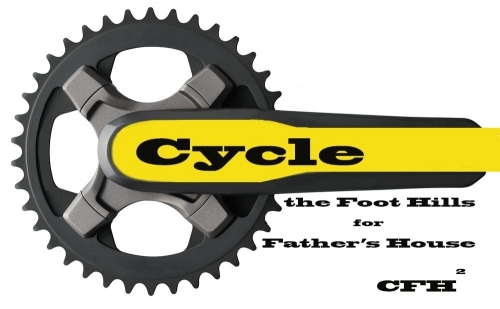 Join us on June 8, 2019 for the second annual “Cycle the Foot-Hills for Fathers House” or “CFH2”. CFH2 is a beautiful Southern Alberta bike ride along Hwy 541 into the scenic Kananaskis Provincial Park. If you’re an active rider and ready for a challenge, the 90 km “Titan” ride is for you. Don’t be fooled though, this is no ride in the park, it is as challenging as it is rewarding. If you’re not quite up to that challenge then the 20 km “Masters” ride might be for you. Please check out the Message Board for some information on training rides if you are from the High River area or set up a training ride wherever you are and advertise it on the message board.